… And any excuse to party! 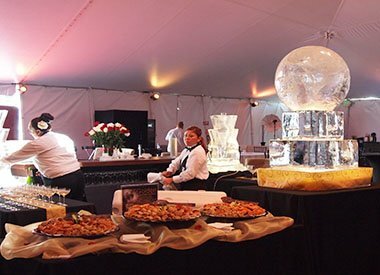 Picasso’s Catering treats what we do as “event art” – successfully blending food, service, timing, and ambiance into a beautifully composed presentation. 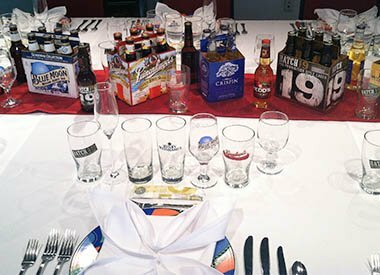 Whether you are having a relaxed summer gathering, bar/batmizvah, or a “most-important-day of your life” wedding reception, we share in your desire to make it the very best it can be. 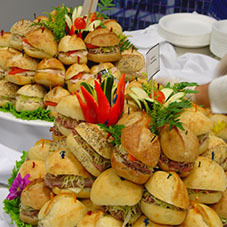 What Type of Catering Service Are You Looking For? Choose From Our Selections Below. 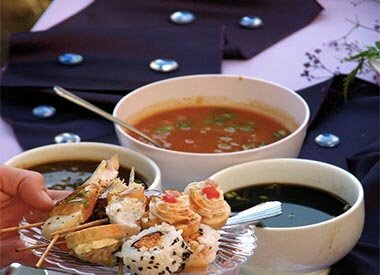 The first measure of Picasso’s Catering for your personal event is the food… Beautifully presented, creative, DELICIOUS. We create hand-crafted hors d’oeuvres, delicious breakfast, lunch or dinner entrees to scrumptious pastries. 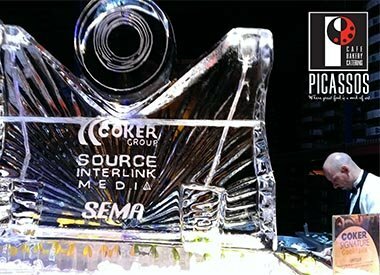 We promise that the cuisine provided for your event will add fun, sophistication and style and leave your guests with a Picasso “work of art” in both taste and presentation. 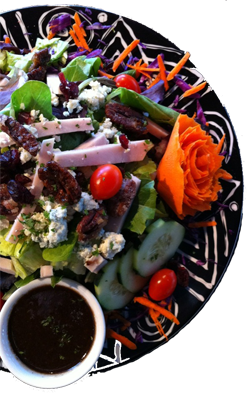 View our ‘Full Service Catering Menu”, perfect for those very special events and includes a few of our more classic gourmet selections. Need to place a last minute catering order for your special event? Order from our “Quick Catering Trays” menu to view our selection of gourmet bambino and specialty wrap trays. Also available: Fruit, Muffins, Starbucks Coffee, Fresh baked goods from the Picasso Bakery for that last minute party planning. Love our restaurant? 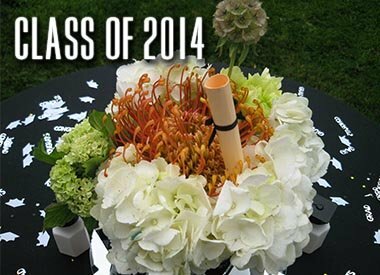 Custom create your catered event using your favorite items from our cafe. 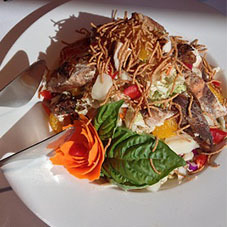 Spanish, Italian, International, and Baja-style cooking, fresh organic produce from California Farms, and fresh seafood from the Pacific Ocean & Hawaiian waters play an integral role in Picasso’s spin on California Cuisine. Our team of Top Chefs put a “Picasso” style Cuisine twist on our creations, making your food an enjoyable masterpiece and “work of art.” This is what you should expect when you cater from our restaurant menu. We are listed as a preferred caterer at many of the most beautiful historic estates, museums, and universities in the Greater Los Angeles Area as well as the surrounding areas.Please call us for suggestions for the sites that will best fit your unique situation. We also offer several private room options at our Irwindale Café. 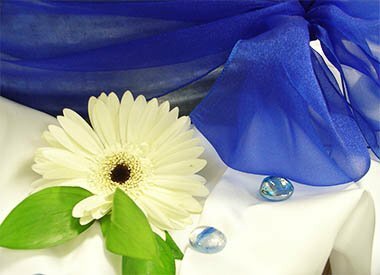 Beautiful Flowers, Lighting, Ice Sculptures, and Balloons are just a few of the things that we can arrange to compliment the atmosphere of your special occasion. 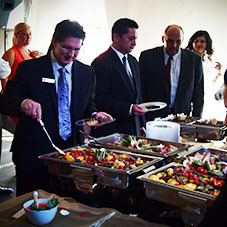 We employ a dedicated team of seasoned professionals who know the right way of catering. 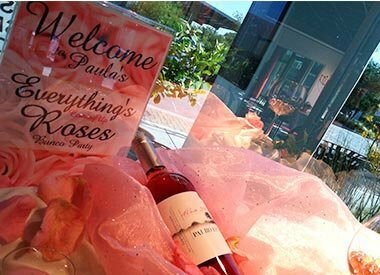 Every day, we receive compliments on the exceptionally professional, friendly and caring nature of our entire staff.We are Picasso’s Café, Bakery and Catering Company. 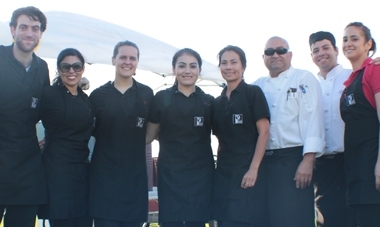 At Picasso’s, we are top chefs, experienced caterers, seasoned servers, and savvy business leaders. For over 25 years, we continue to be dedicated members of our industry and community, and strong humanitarian outreach advocates. 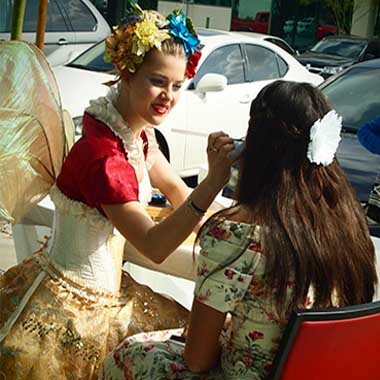 Whether it’s a live band, DJ, Harpist or Magician you’re looking for, Picasso’s Full Service Event staff can recommend and hire the perfect entertainment for your event.